It's a big storm, moving slowly. A gigantic span of ferocious swirl meets a front of chilly resistance. The effect of that collision is amplified by powerful tidal influence. Upheavals and surges swamp the landscape. Many people are displaced; countless others stay with the familiar. Also, in the real world, some nasty weather is happening. But I'm talking about the tech industry of the last five business days, which has aligned and concentrated its forces in a crystal-clear demonstration, if one were needed, that mobile is where the bets are placed and futures will be won and lost. Apple is at the eye of the storm, where its devoted legions expect it, but no longer as a pioneer. Defending its territory rather than breaking new ground, the post-Jobs company did something its late and fabled leader scorned, split hairs to justify it, engaged in implicit combat with four competitors, ticked off some of its best customers and was squeezed by inexorable pressure of a quickly evolving industry. As I noted a week ago, it has been a perfect storm of product announcements and earnings releases. The two are always entwined. Though we like to imagine that companies are solely dedicated to the happiness of consumers at the end of the chain, the drumbeat of quarterly reports is what drives most decisions around product timing and the release of feature sets. This umbilical connection was etched in bold relief last week when Apple announced a new mini-maxi-Mac product lineup just two days before its Q4 earnings call. The mysteries of one were explained by the other. Though the accumulated import of last week's events had a tectonic rumble, there was really only one surprise -- the launch of a fourth-generation iPad, an upgrade that left disciples slack-jawed, and not entirely euphoric. Christina Warren spoke on behalf of incensed iPad owners in a 1,500-word rampage that explored the thesaurus entry for "angry" and invited rugged push-back of the #firstworldproblem type. The disaffected have a point, which is that a seven-month dev cycle (between the third- and fourth-gen iPads) is shorter than usual for Apple, and therefore, arguably, deceptive to third-gen buyers. The argument loses steam when you splash cold water on your throbbing veins and remember that Apple is a down-to-business corporation like any other, its steely eyes focused on managing its public stakeholders. That can be hard to remember during the live event, which is about shiny new features and end-use scenarios. In the earnings call two days later, CEO Tim Cook and CFO Peter Oppenheimer laid out past and future performance metrics like snapshots in a mosaic. 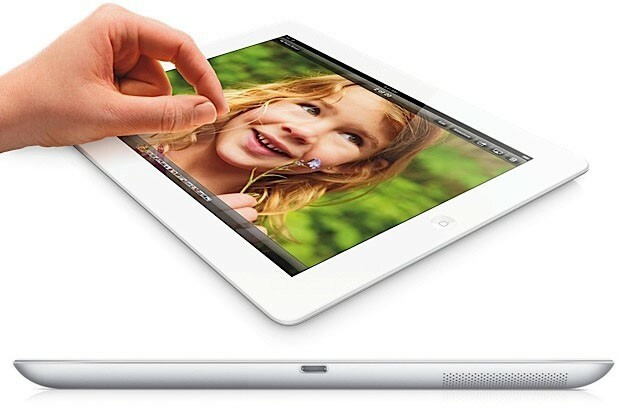 Sales of iPads missed projections; iPod sales likewise below expectation. Mac down. Revenue flat against guidance, but earnings-per-share down. Most important to analysts: gross profit margin just below expectation, and projected to dip further. In fact, gross margins have skidded the last two quarters, from 47 percent to 40 percent, and the fiscal Q1 projection (that's the current quarter) is 36 percent, which harks back to fiscal 2008. Against all of this is a backdrop of plunging AAPL stock. When margins slump, volume must make up the difference. In a voracious market of technology adopters, sales come from new and refreshed products. Hence, the mini and the fourth-gen iPad. The post-PC company more clearly entered the post-Jobs epoch as Apple repudiated its previous scorn for small tablets. The mini is not a 7-incher! Tim Cook wants us to be clear on that point. It is a 7.9-incher. That's 35 percent bigger than a 7-inch screen! Put down the Red Bull, Tim, we get the point. But Cook also weirdly and defensively compared the iPad mini to the iPad 2 ("...equal to or better than the iPad 2 in every way"), and a portion of the commentariat complained that the specs were weak, barely competitive with the Google Nexus. The $329 starting price isn't earning many compliments either. This is how Apple works the offense and defense in the same play. Defensively, the company was forced to plug its portfolio gap with an intermediate slate. Forbes divined from Amazon's earnings call (also last week) that the Kindle Fire, with its succulent price point, is eating into iPad's share. Impossible to know for sure, since Amazon doesn't break out Kindle sales. But we know as a corollary that Samsung whipped Apple in smartphone share and units shipped in calendar Q3 by two to one. (56M vs. 27M phones sold; 31 percent vs. 15 percent share.) In a barbed announcement, Samsung noted that its Galaxy S III experienced a sales spike immediately after the iPhone 5 release. Google is another share-stealing tormentor. 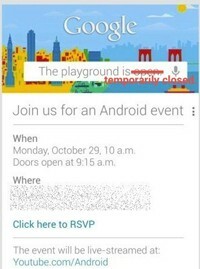 Sadly, Google scheduled its New York event in conflict with the latest storm of the century, and tiptoed out of the city when the weather forecast firmed up. But the new products came out today anyway: a 10-inch Nexus, plus a memory upgrade and price reduction of the 7-inch tablet line. In Apple's perspective: more pressure. The $329 iPad mini will soon be fighting for holiday gift status with a $200, 16GB 7-inch Nexus. For its offensive game, Apple relies on the concept and reality of premium. "Premium" means different things to different people, and its specifications are always changing. Apple's bankable status as a premium merchant has relied on build quality (still current), brand reputation (ephemeral, but earned and lasting for now), screen display quality (soon to be bettered by a new Nexus), and a safe, curated, huge app ecosystem (hanging onto leadership there for the time being). More than any other quality, though, Apple has accrued premium credibility through innovation leadership. Its destiny as a business titan depends on whether the company has invention left in the gas tank. Without the innovation, Apple is in an assembly-line business of iterating its products, synchronizing release cycles with finance milestones, managing its pipeline and massaging margins. Naturally, any company must do all these things. But last week we didn't see freshness from Apple; we saw a company loading up the pipeline for an earnings assault in Q1 with a barrage of products. In the live event, Tim Cook bragged about "...a truly prolific year for innovation for Apple." Prolific is not breakthrough. Apple did not become the world's most valuable company by making screens thinner, tablets smaller or phones longer. It got there by persuading society to adopt new categories. The dark-horse innovator last week was Microsoft, an aging legacy ruler facing entropic decay in a changing world of unmoored devices. There were no surprises; Microsoft held back no secrets about the radically different Windows 8 and the new Surface tablet. Windows Phone 8 was announced earlier today as the smartphone leg of Microsoft's stool. The boldness and commitment of Redmond's bet is breathtaking; that is universally recognized. But it's uphill for Microsoft's under-developed ecosystem: according to an Associated Press poll, most people haven't even heard of Windows 8. So it's Apple vs. Microsoft on daring, Apple vs. Samsung on smartphone market share and patent conflicts, Apple vs. Google on specifications and price, Apple vs. Amazon on willingness to cut margin, Apple vs. its customers on betrayed expectations, Apple vs. itself on the insurmountable challenge of remaining a true innovator forever. Interesting times. Fortunately for manufacturers and consumers both, it's not a winner-take-all industry. Get out the pie cutters.